Taroudant - or Taroudannt - is often described as a mini-Marrakech because of its bustling and historic medina, souqs and beautiful red-mud buildings. And it does share the capital's vibrancy. But describing only this city's trading centre misses out the beauty of the location, on the plains of the fertile Souss Valley, behind which the Atlas Mountains rise. It can be a wonderful place to escape to, and some of the best places to stay in Taroudant really reflect the area's beauty, as well as that of the city. While Marrakech's medina can quickly overwhelm the unseasoned, Taroudant's is a much friendlier affair, somewhere you can stroll through. The city's old 16th and 17th Century gates, along with the red-mud walls surrounding the old town - which change colour depending on the time of day - are one of the great sights of Taroudant. A large colony of white storks live by the gates. The place is also rife with pigeons which provided a great source of food during times of siege. Taroudant is also an ideal base for trekkers and hikers heading up into the High Atlas, and it's quite close to Agadir on the coast. You can also get better value for your Moroccan handicrafts here than in Marrakech or Essaouira. Admire the city's old 16th and 17th Century gates and red-mud walls. Get out of the city and into the Atlas mountains on hiking excursions. Explore the atmospheric souks and find leather products, textiles and spices. Stop by the Palais Claudio Bravo Camus and learn the fascinating history of the region. The best places to stay in Taroudant need not be crammed into the centre of town. Indeed several of our recommendations are on the outskirts, where you can really appreciate the beauty of the area. Palais Oumensour is situated in the heart of the medina. 11 rooms lead off from a beautiful central courtyard filled with greenery and plunge pool for cooling off. Dar Zahia also enjoys a top central spot. It has just four rooms and offers simple yet pretty accommodation in the middle of town. 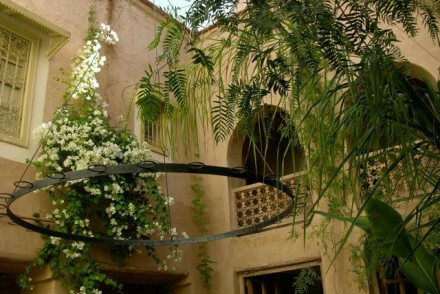 Dar Zitoune is an eco-conscious riad just south of Taroudant. 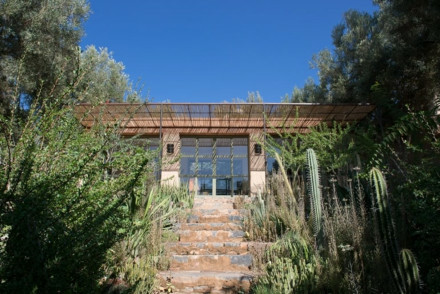 Set amid a tranquil garden it offers a variety of accomodations from Berber tents to smart suites. There's also a good sized pool, spa and superb Moroccan fusion cuisine. Dar Al Hossoun is a totally authentic property to the west of the town. Rooms are simple yet elegant, plus there's a pool for relaxing days and a spa for pampering. Riad Jnane Ines is situated down a little track in a truly hideaway spot. Its 11 rooms are beautifully decorated in authentic Moroccan style, there's a garden with pool, and excellent cuisine. The nearest major airport is Agadir Airport (AGA / GMAD), located 61 km away. The largest international airport is Menara International Airport - Marrakech Menara, 148km from Taroudant. Best time to visit - Taroudant is a year round destination with consistent sun. The winter months (December - February) are bright and cooler with temperatures averaging around 14°C. The rest of the year temperatures range between 18°C - 30°C with August being the hottest month. 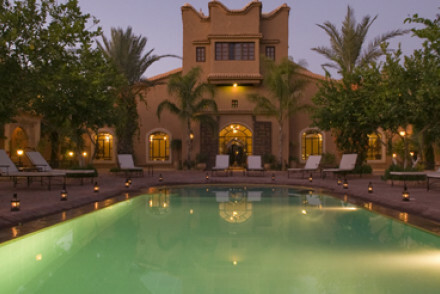 Browse through our list of all the best places to stay in Taroudant. Expand your search to the best places to stay in Marrakech to the north and the best places to stay in Essaouira to the west. Located down a secluded country track outside the typical Moroccan village of Machraa Al Ain, 3km from Taroudant. Tranquil, beautifully decorated base with lots of traditional Moroccan details. Indulgent meals provided and expect a warm welcome from the owner. Perfect for lazy poolside sun lounging. An eco conscious Riad in the heart of the southern Souss region of Morocco, set in a tranquil garden, with a choice of suites or luxury Berber tents. Featuring a pool and spa and a top-quality restaurant serving Moroccan fusion cuisine. Explore the town or simply relax in the countryside. Gorgeous riad on the outskirts of idyllic Taroudant. Chic suites are individually set round a generous pool in verdant gardens, providing a sense of tranquility and privacy for guests. With a top-quality spa and a restaurant with a fine gourmet menu, this is a truly charming retreat! Spa breaks - With a wonderful pool, full service spa, massage and hammam services, this is a pamper paradise! 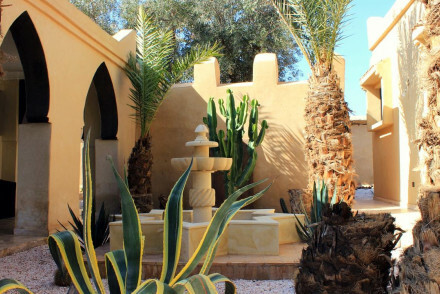 Luxurious and totally authentic riad with large, botanically diverse interconnecting gardens. Featuring elegant yet simple rooms and suites, two pools to lounge by and a spa for pampering. Food is simple and tasty, traditional with a Mediterranean twist. A tranquil, un-touristy haven.